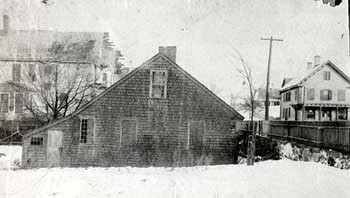 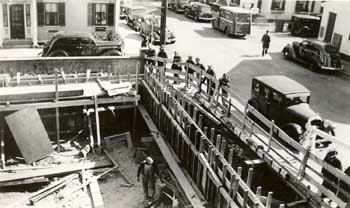 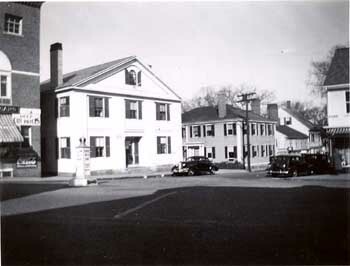 Leshure House, 222 Sandwich St. side view, looking south towards Sears House (under construction), now Belanger's. 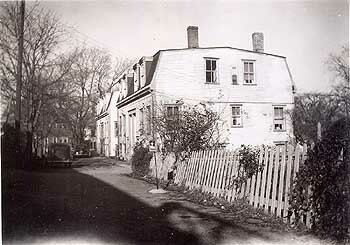 Leshure House, 222 Sandwich St. rear view. 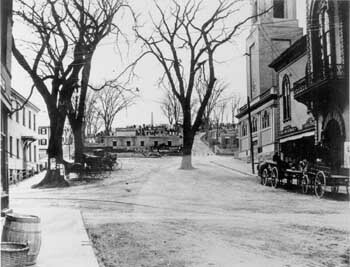 Note shadowy image of the Wellingsley Union Chapel at right. 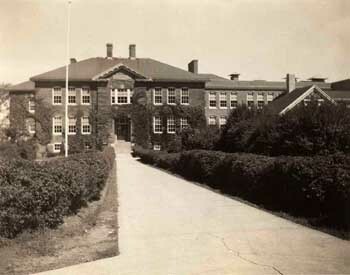 Nathaniel Morton School, 9 Sept. 1939 (now vandalized with bus route). 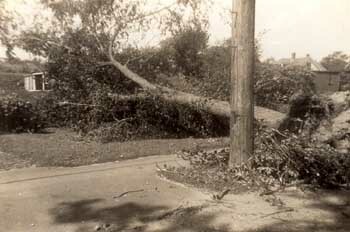 Elm Tree blown down Sept 21, 1938, in yard of 243 Sandwich Street, Jabez Corner. 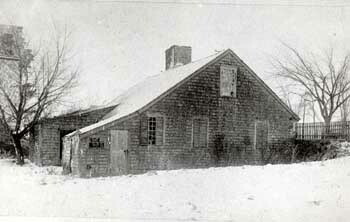 Samoset House ca. 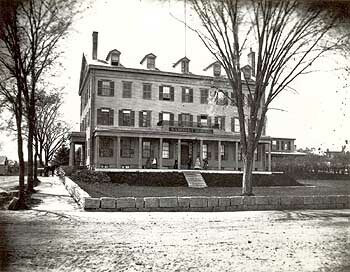 1870. 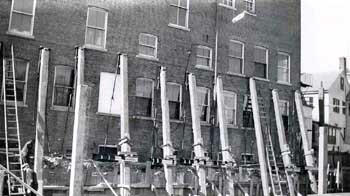 See later interior shots on page with larger image.